So while looking at the image below, I have a base mesh (A) with a slice in the middle going through the geometry. During my production for a blend shape (B) the slice is being smoothed out. Now I would like to move the line towards the source with a soft selection to get it onto it's exact position without having a bad flow. In 3ds Max I would use a Poly Select modifier to select the loop, and turn on Soft Selection. Add a Morpher modifier and load the original morph target. 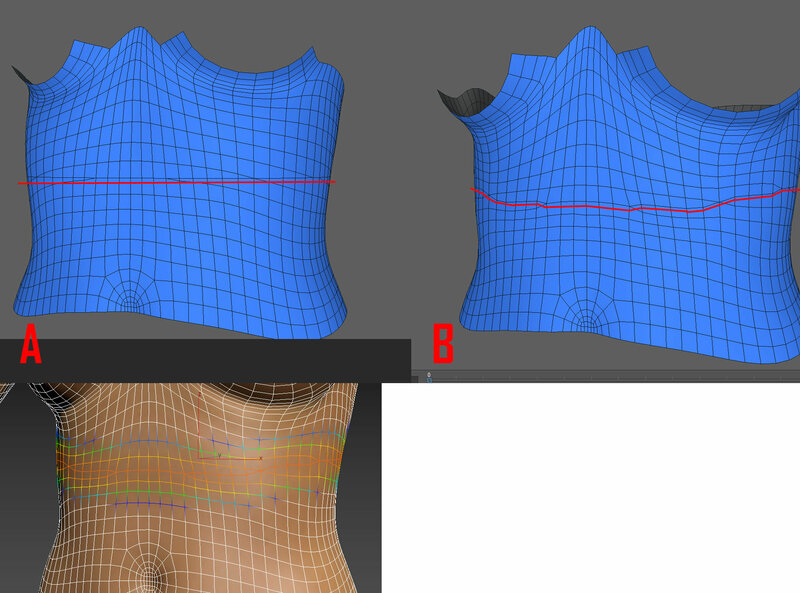 Then adjust the soft selection falloff to adjust the deformation of the nearby mesh.